Ubuntu 17.10 is officially released. This tutorial is going to show you 2 ways to upgrade from Ubuntu 16.04/17.04 to Ubuntu 17.10: using the graphical update manager and using the command line. Update: Ubuntu 17.10 reached end of life in July 2018. you can’t upgrade to it now. Please don’t follow the instructions below. Instead, you can upgrade Ubuntu 16.04/17.04 to Ubuntu 18.04 LTS from command line. First of all, fire up a terminal window and run the following command to update existing software packages. Please note that if a new kernel is installed while running the above command, you need to reboot system in order to continue the upgrade process. Then open Software & Updates from Unity Dash or your favorite application menu. Select the Updates tab and then at the bottom of window, change notification settings from For long-term support version to For any new version. Click the close button. You will be asked to enter your password to apply the above changes, then issue the following command in terminal. If you are using Ubuntu 17.04, you will be notified that software is up-to-date and Ubuntu 17.10 is now available. Click the Upgrade button. If you are using Ubuntu 16.04, you will be notified that software is up-to-update and Ubuntu 17.04 is now available. Click the upgrade button. 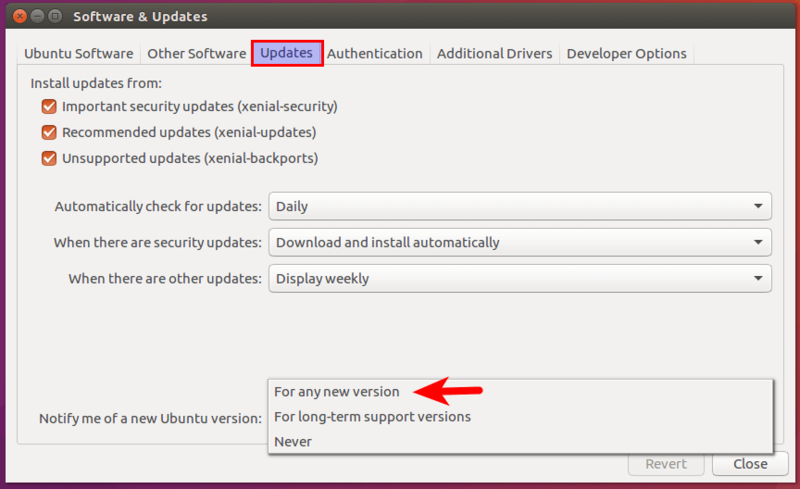 You need to upgrade to Ubuntu 17.04 first and then follow the same steps to upgrade to Ubuntu 17.10. This is due to the fact that Ubuntu 17.04 is still being supported by Canonical and hasn’t reached end-of-life yet. Update: Ubuntu 17.04 reached end-of-life on January 13, 2018. Ubuntu 16.04 users can now upgrade directly to Ubuntu 17.10. Then enter your password. The release notes window appears. Click Upgrade. Wait for the upgrade process to finish. If you are notified that some third-party sources are disabled, accept it. You can re-enable them after the upgrade is finished. Once the upgrade is complete, restart your computer. 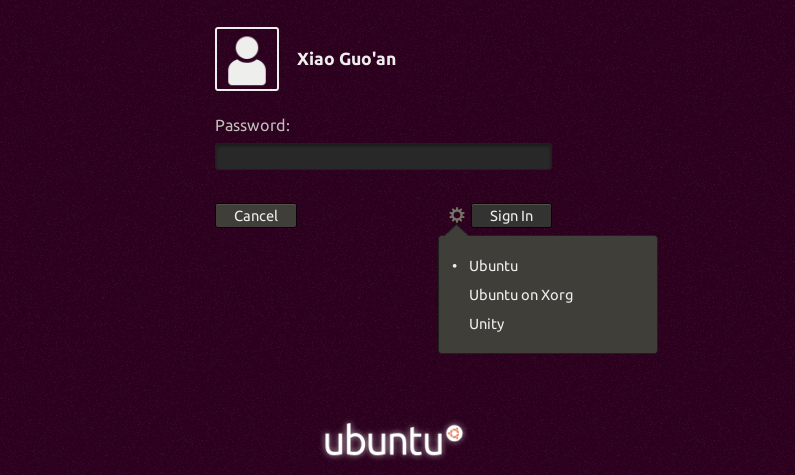 At the login screen, you can click the cog icon to select Gnome, Gnome with X.org, or Unity desktop environment. You can use command line to upgrade Ubuntu desktop or a headless server. First, open up a terminal window and run the following command to upgrade existing software. Then make sure you have update-manager-core package installed. Next, edit a configuration file using nano or your preferred command line text editor. At the bottom of this file, change the value of Prompt from lts to normal. Save and close the file. After that, run the following command to begin the upgrade process. 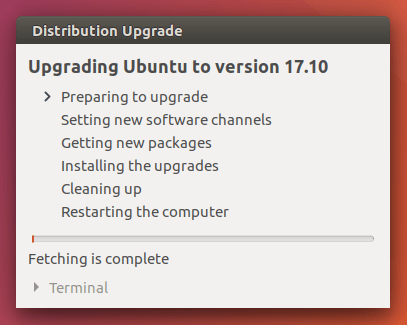 If you are running Ubuntu 17.04, then follow the on-screen instruction to upgrade to Ubuntu 17.10. 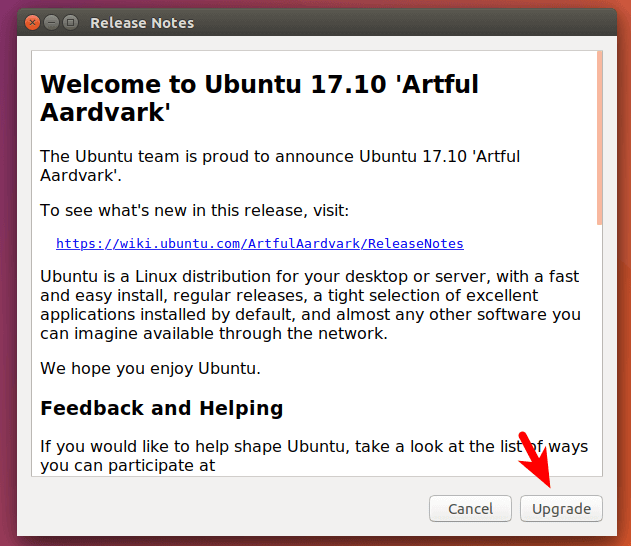 If you are running Ubuntu 16.04, then follow the on-screen instruction to upgrade to Ubuntu 17.04 first and then follow the same steps to upgrade to Ubuntu 17.10. You also need to re-enable third-party repositories such as PPA because they are disabled during upgrade. That’s it! I hope this tutorial helped you upgrade to Ubuntu 17.10 from Ubuntu 16.04/17.04. As always, if you found this post useful, then subscribe to our free newsletter to get new tutorials. After upgrading from 16.04 to 17.04, I faced ‘failed to connect to lvmetad’ problem. I was stuck in a black screen with that error message. Gladly, its ssh server was still running so I could at least look up things and try. After a while, I could fix the error portion, while not knowing what I really did. Then another problem came up; I could not use my keyboard and mouse. Also an error saying “System program problem detected” has been always popping up after a minute or two. Since then, I’ve been trying to make this work by googling. Any suggestion? Command-line instructions worked perfectly with the Windows Subsystem for Linux. Went from 16.04 to 17.10, no problem. Thank you!….This works great….I upgrade from 16.04 to 17.10 already. Comments with links are moderated by admin before published. Use <pre> ... </pre> HTML tag to quote the output from your terminal/console. Receive notification via e-mail when someone replies to my comment.